TECHNIMA Central produces marker spray paint and line marking equipment for use in warehouses, factories, sports fields, or at events, all to make your job easier. All of our marker spray paints is reliable, affordable and safe for humans and the environment but which will you choose? We have over a dozen colours in our spray paint stock, including cherry, lime and chocolate. Are you looking to mark the roads? Better do it in fluorescent paint so that it can be seen at night. Temporary paints (lasting from five days to four months) are designed to meet the needs of event planners who may need to block off roads during a marathon or paint booth boundaries for Christmas Markets. Long-lasting paints will last up to four years; whether you need to mark out parking spaces or land boundaries. If you’re creating parking spaces or road lines, you’d better believe they need to be straight. 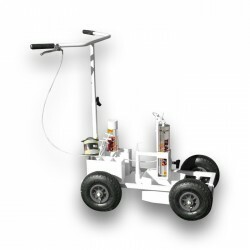 For your convenience, try our range of line marking equipment. For those looking for an alternative to aerosols, try our range of wax-based chalks that are suitable for marking on all surfaces, including metal, wood (both dry and damp), cardboard, tiles, asphalt and plastic. They come in a range of colours (fluorescent and not) including red, blue, yellow, green, black, grey and white. 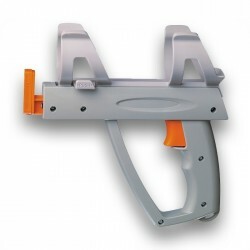 Marker spray paint and line marking equipment There are 20 products. 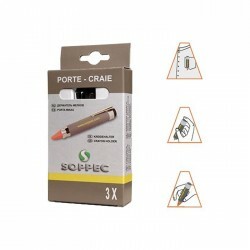 A wide range of crayons that mark on all surfaces: metal, dry or damp wood, cardboard, tiles, asphalt and plastic. The new SOPPEC plastic handle designed for ground marking professionals. New design, new materials - it is is light and meets the most exacting user requirements. 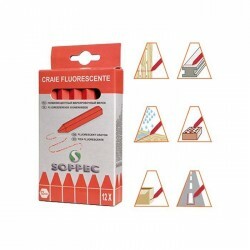 Easy to handle, accurate and stable during marking, the SOPPEC yellow marking trolley adapts to many surfaces and can therefore be used for a variety of applications where lines or curves have to be traced. 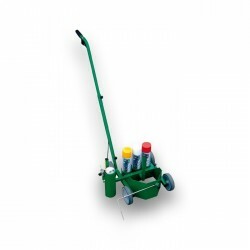 This versatile line marking applicator can be used with 500 ml and 750 ml aerosols. This trolley is specially designed for marking grass sports fields. It can also be used on other surfaces using products from the TRACING® and TRACING® PLUS range. 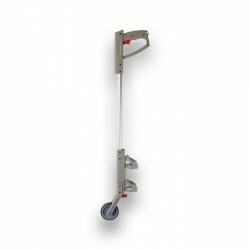 This line marking trolley is designed to trace lines along a wall whilst seeing the markings thanks to the lateral offset. Usable on many surfaces, the aerosol-holder trolley is intended exclusively for the TRACING® and TRACING® PLUS line tracers. The new marking rod is the answer that Soppec found for the most demanding requirements of ground marking professionals. 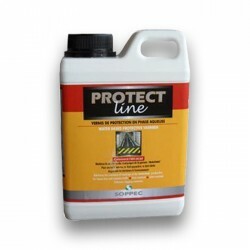 PROTECT LINE is a water based phase protective varnish. It boosts the resistance of lines in the TRACING® and TRACING® PLUS range by increasing resistance to intense traffic. Apply with a roller or brush or by spraying one or two coats.